This point had a manual check as well. The computer would not accept the radar data without Aldrin's OK. He was about to tell the computer to incorporate the radar altitude into its solutions when the unexpected occurred. ''Program alarm,'' Armstrong called, a touch of urgency in his voice. Aldrin quickly keyed in Verb 90 Noun 50, asking the computer for the nature of the alarm. On the flight controllers' audio loop, the voice of Steve Bales called, ''It's the same thing we had,'' referring to a recent simulation. ''If doesn't reoccur, we'll be go,'' Bales advised. But it did recur. On the ground, engineers scrambled. At the IL, engineers were following the flights in real-time, sitting in an MIT classroom in Cambridge listening to the flight controllers and the LM on a ''squawk box.'' The 1202 reading told the IL engineers it was an ''executive overload.'' The computer was falling behind in its tasks;something was stealing processing cycles. (''Executive Overload!'' Norman Mailer observed. ''What a name! One thinks of seepage on the corporation president's bathroom floor. ''6) But the engineers were too far away to be of any help. ''I had never seen or heard one [a 1202 alarm] in all of our pre-flight testing,'' Fred Martin of IL recalled. In Houston, flight controller Steve Bales asked his back room team for some help. There, engineer Jack Garman cleared, stating ''We're go on that alarm.'' Russ Larson, an IL employee sitting next to Garman, was too nervous and engrossed to speak. He just flipped up his thumb. Bales passed on the word to Kranz. Within ten seconds, Duke reported to the LM: ''We're go on that alarm.'' No problem, not to worry. Thirty seconds later, another alarm. Another ''go'' from Houston. Another thirty seconds and the engine throttled down the PDI burn, an important moment, for it meant the computer was still running. ''Ah! Throttle down . 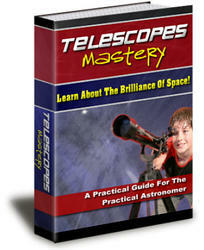 . . better than the simulator,'' commented Aldrin. ''Throttle down on time!'' Armstrong excitedly added (Don Eyles points out that in the official transcript of communications, these are the only exclamation points).7 One more worrisome problem that might have kept them from the moon was now behind them. Armstrong knew he was a little long, but the computer throttled down the engine exactly on time. He realized the computer was ''a little bit confused at what our down range position was. Had it known where it was, it would have throttled down later (to kill a little velocity).'' The human operator understood the situation better than the computer, but the computer was driving and there was nothing he could do about it (a problem fixed for Apollo 12). At seven minutes into PDI, on the ground, engineers were scrambling to understand the source of the program alarms. One controller recognized that the Verb 16 to mon itor a variable in real-time on the DSKY was fairly processor-intensive, and that the alarm might have arisen when Aldrin commanded the computer to monitor DELTAH. ''Noun 68 well may be the problem here,'' he told Kranz, ''and we can monitor DELTAH,'' replacing the LM's function with human backup on the ground. Kranz asked if they should ask the astronauts not to use Noun 68, but the back room thought it unwise. Indeed, the extra computation load created by Aldrin's request for a Noun 68 was pushing the computer just over its overload margin. And the alarms were still ringing. Armstrong did not move to abort, however, because the LM still seemed to be responding to his commands: ''As long as everything was going well and looked right, the engine was operating right, I had control, and we weren't getting into any unusual attitudes or things that looked like they were out of place, I would be in favor of continuing, no matter what the computer was complaining about. ''8 Armstrong explained himself as a mechanism: ''In simulations we have a large number of failures and we are usually spring-loaded to the abort position. And this case in the real flight, we are spring-loaded to the land position. ''9 As a pilot, if the craft was still flying, he was going to fly it. All this took up precious time, and the controllers began to worry about fuel. ''Descent 2 fuel critical,'' they called, but Charlie Duke just passed up ''Descent 2 fuel,'' saying tank number two would be the first to go critical for a low level and should be monitored. One of the controllers noted about Duke that ''he didn't want to say critical'' up to the astronauts, who knew they were nearing trouble. Still, Armstrong needed to make sure the LM was flying right. In the following seconds the LM's internal tape recorded him saying, almost to himself, ''Okay____No flags. RCS is good. DPS is good. Pressure____Okay.'' He was checking the systems, trying to determine if anything obvious was wrong besides the computer alarm (telemetry recorded pitch changes in the vehicle as he felt it out). Two minutes later, just before reaching the high gate, at 7,000 feet, the mode register on the DSKY showed 64, indicating that the computer had switched to P64, the approach phase. On another register, a new number appeared that was the LPD designator, the angle at which Armstrong should look out the window to see the landing site. The LM began its computer controlled pitch over, starting to bring the astronauts face forward, feet down. Armstrong should have been looking through the window, scanning for the landing site, expecting the thrill of recognition. Instead he was looking inside at the instruments, trying to deal with the alarm. Again, Kranz polled his controllers: ''Go/no go for landing.'' And again they responded with ''Go!'' in an excited, nervous series. Armstrong flipped a switch, moving the LM out of AUTO and into ATTITUDE HOLD. He jogged the joystick, testing the LM's handling qualities. ''Manual attitude controller is good,'' he called down to Houston. According to the checklist (EVAL MAN CONT, for ''evaluate manual control''), Armstrong was supposed to have done this earlier so he could focus on evaluating the landing site, but he may have delayed it due to the computer alarms. He clicked the LM back into AUTO, to continue riding the computer down. And once again, Kranz polled his controllers on ''Go/no go'' for landing. Kranz answered ''Rog.'' Duke notified the Eagle: ''Eagle, Houston. You're GO for landing. Over.'' Like an airplane, the LM had been cleared to land. Both read out the number;both were distracted by the alarm. One second later, Houston replied: ''Roger. 1201 alarm. We're go. Same type. We're go.'' In the Houston back room, Jack Garman was amazed to hear his ''same type'' observation repeated by the CAPCOM over the transmitter, and then repeated by Aldrin. Garman's judgment had just made a half-million-mile journey to another person and back. ''We just passed low gate'' on the ground loop. Then came another 1201 Program Alarm, then another 1202. Five alarms in all. Armstrong's heart rate rose from 120 to 150 beats per minute. Two and a half minutes after P64, Armstrong directed Aldrin: ''Give me an LPD.'' Aldrin told him to look down through 47 degrees. Armstrong toggled a switch with his left hand, enabling P66. At about four hundred feet, he was now flying in the autopilot's rate-of-descent mode, still with attitude hold, and flew the LM past the crater. Armstrong commanded the LM's attitude with his right hand, while the computer controlled the descent at a fixed rate. In his left hand Armstrong had a rate-of-descent switch that he could click up for one-foot-per-second slower, or down for one-foot-per-second faster. For the first twenty seconds he did not change the pitch of the vehicle, but clicked the rate-of-descent button eight times to slow the descent. He pitched back to slow the LM's forward velocity, then forward toward the west to get to the other side of the crater;''I had tipped it over like a helicopter,'' he noted, even gently climbing at one point. The move was quite fast, causing Aldrin to warn: ''We're pegged on horizontal velocity.'' The LM was moving so fast across the surface (greater than twenty feet per second) that the needle on the crosspointer indicator pegged against its stop. ''300 feet, down 3 1/2, 47 forward.'' 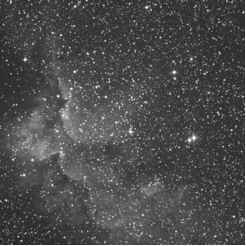 Armstrong was still moving across the surface at more than thirty miles per hour. Floyd Bennett was following the action from the trajectory analysis room at Houston. ''We kept watching his forward velocity and his altitude rate.. .you can't land at those speeds. And I said, 'What is he doing?' ...He didn't have time to tell us it was a rock field out there. ''12 All this maneuvering took precious additional seconds, running the fuel down to critical. The ground called up: ''Low level.'' Two minutes left. Norman Mailer described the LM as ''skittering like a water bug debating which pad it will light on. ''13 Finally, Armstrong found a spot he liked, and ''nulled the rates,'' that is, slowed the vehicle's horizontal velocity, a delicate task given the lack of atmosphere to damp the motions. Armstrong later described his moves as ''over controlling'' and even ''a little spastic in final approach,'' because he was ''confused'' about his lateral velocity. Also, he said, ''my visual perception of both altitude and altitude rate was not as good as I thought it was going to be.'' As the engine blast began kicking up dust on the surface, it caused visual noise that made it hard to discern the ground's motion beneath (Armstrong likened it to landing an airplane through fog, ''however, all this fog was moving at a great rate which was a little bit confusing''). As the LM continued its approach, Aldrin noted: ''Kicking up some dust.'' For Jack Garman in Houston, this moment brought the reality of the moon landing home. Until now, much of the script, even the program alarms, had been practiced in simulations. But Aldrin had never before called out a detail so vivid as lunar dust. Duke and his colleagues had had good reason to hold their breath: touchdown was forty to fifty seconds before the fuel would have been depleted, twenty to thirty seconds before the crew would have been forced to make a land-or-abort decision. Armstrong had had the LM under control for almost two and a half minutes. His landing was 1,100 feet from the targeted automatic landing spot (and more than four miles down range from the planned landing site). 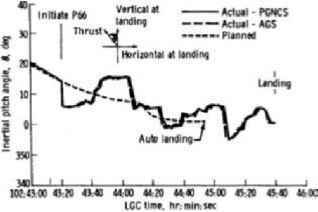 An analysis by the Mission Planning and Analysis Division noted that ''total flight time was extended an additional 40 seconds from the normal time for an automatic landing''14 (figure 9.2).